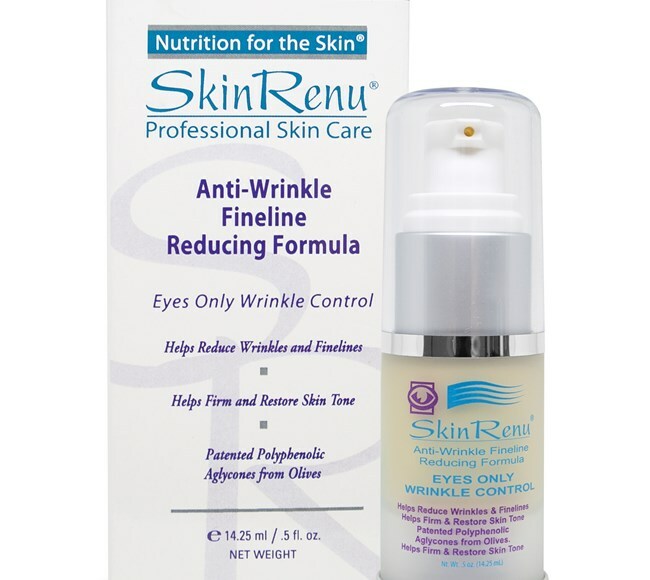 Anti-Wrinkle Fineline Reducing Formula by SkinRenu contains additional patented lipid complexes specially formulated for the tender skin that surrounds the eye. The formulation is fragrance-free, non-irritating, quickly absorbs and can be used under make-up. 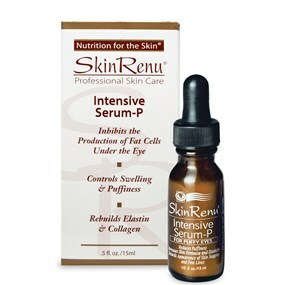 It is clinically proven to restore skin tone and texture, as well as to reduce fine lines. Deionized Water, Isocetyl Stearate, Olea Europaea (Olive) Fruit Extract, Cholesterol, Cyclomethicone, Dimethiconol, Octyl Cocoate, Phenyl Trimethicone, Ceramide III, Phytosterols, Glycerine, Olive Squalane, Glyceryl Monostearate, Antarcticine, Serilesine, Carrageenan (Chondrus Crispus) Extract, Soluble Collagn, Ascorbic Acid (Vitamin C), Niacinamide (Vitamin B3), Leneth-16, Oleth-16, Ceteth-16, Steareth-16, Olive Oil, Saccharomyces Sea Salt Ferment, Retinyl Palmitate (Vitamin A), Tocopheryl Acetate (Vitamin E), Evening Primrose Oil, Carbomer, Triethanolamine, Allantoin, Phytosphingosine, Wheat Ceramides, Wheat Lipids, Germaben IIE. After cleansing, apply to area of treatment. Use morning and evening for best results. Use more frequently if necessary. May be applied under make-up. 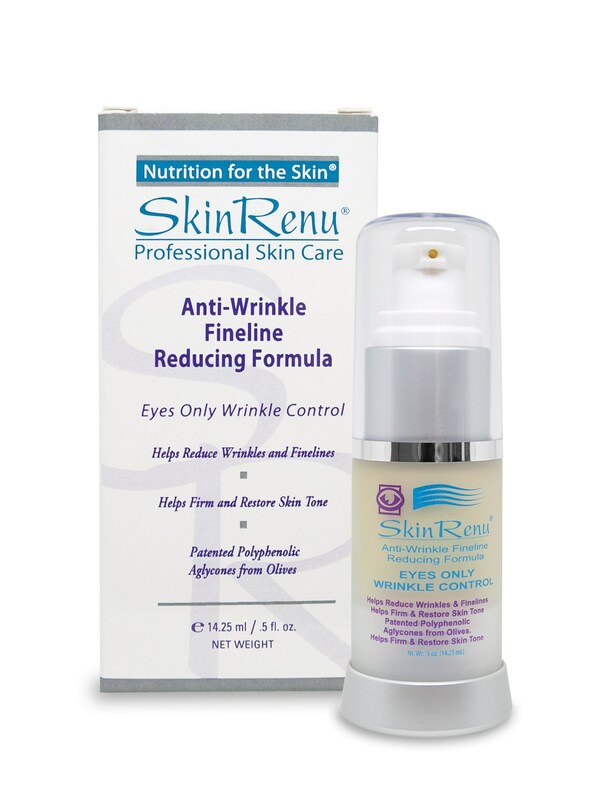 Anti-Wrinkle Fineline Reducing Formula is recommended for use on skin of any age. For external use only! Do not apply directly to the eye. Keep out of reach of children. Discontinue use if irritation occurs.